11. Application needs to target the affections, because the Bible does. Discourse moves us, narratives engage us, poetry stirs us – the Bible reaches to the heart of the listener. Sadly too many preachers assume their role is merely to pressure behavioural change, or educate for cognitive adjustment, but these approaches don’t fully present the message and method of the biblical passages. We must wisely, honestly, carefully and prayerfully engage the hearts of our listeners with the biblical text. 12. While relevance should be a given, transformational application is rare, so pursue it. For instance, how easy it is to preach “don’t be anxious” from the Sermon on the Mount and end up imploring people to try harder not to fret! But the passage points listeners to how much God cares for them. Let’s not promote a pseudo-relevance through just being strongly against something, but rather offer the text’s bigger alternative that attracts and woos. To think of a common Old Testament example, by all means let’s smash idols, but not because we are just anti-idol, rather because God is so much better. 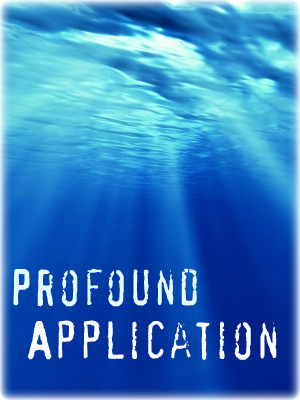 If explanation and application can be more profound, we are on the right track. Tomorrow we’ll look at aspect of our presentation and delivery. I love how you phrased #11. Very nice.